A sea battle is in operation. 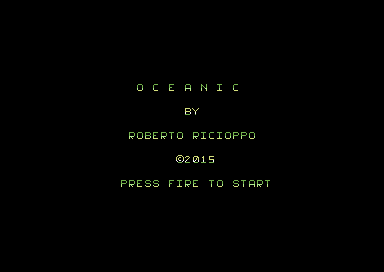 Your mission is to clear the ocean from rogue ships, by firing at them. Watch out though, should you make a wrong move. Your ship will sink. Can you beat the enemy forces, or will the deep blue see become the enemy's own territory? For the game instructions read the games below. 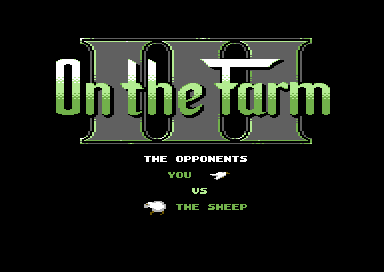 This is the compilation edition with all 3 On the Farm games, and an exclusive loading picture for this game compilation. Tape masters have also been included. You are a sheep who has just escaped from his pen and is running riot around various fields on the farm. Help your sheep chomp on all of Farmer Dave's crops (which will make him and his workers more angry) to advance on to the very next level. Avoid colliding into the animals. If you bump into an animal - 3 strikes and you're out. 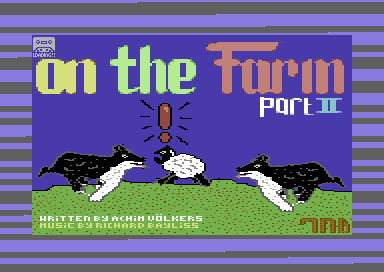 You can jump on the animals to score points, but watch out for Farmer Dave (Yellow) and his working farmers. You can't jump on him or his colleagues, otherwise you get caught (and a life is lost). Watch out for those magic mushrooms. If you let your sheep eat one of those, it will go high, and a life will be lost. You will also be against the clock as well. Good luck sheep. 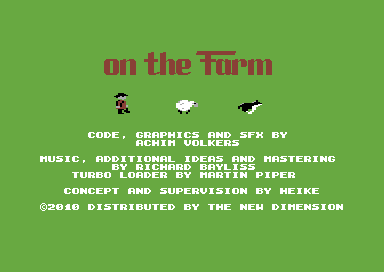 The .tap (tape image) version of On the Farm, features the all now Dance-A-Load loader tune by Joe Dixon. Special thanks goes to Joe for his support. Meet Mondschaff the sheep and a load of his friends. 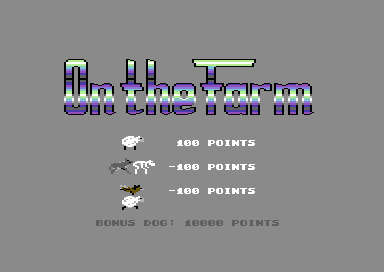 This time round, the sheep isn't your player. In fact, it's completely different. 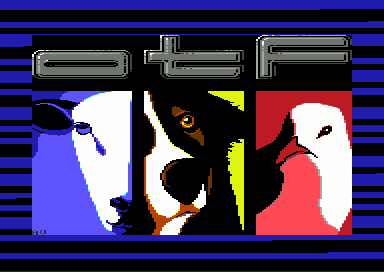 You play Shep, a beloved border collie (sheep dog) who has a job, which is to guide the sheep back to their pen, where they belong in time for sheep shearing. Shep must herd a certain number of sheep in each of the 20 levels, within a certain time limit. 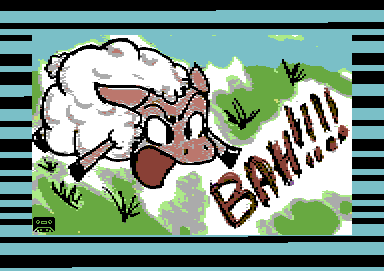 If the time runs out and not enough sheep have been sent to their pen, you will have to restart the level. 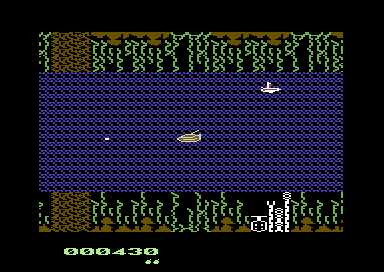 Otherwise you can simply enter the pen - to complete the level. To herd the sheep, shep must face the sheep and constantly follow and bark at them (Pressing fire will bark at the sheep). If Shep is too slow, the sheep will decide to move away from the pen. Your dog can also move the sheep up / down by colliding into it. You can also bark at the wolves that try and attack the sheep, but you will have to be fast at this job, otherwise Farmer Rich will be upset to lose his sheep - just like little Bo Peep :o)) ! First was the sheep, then was Shep's turn. Now it's the Seagull's turn to take the action. You are a greedy seagull from St. Ives whose interested in Famer Rich's crops. The only trouble is that those belong to the sheep. To be able to have crops, you have to stop the sheep invasion, simply by pooping on to those poor sheep. Now and then Shep will come along. You can poop on Shep to gain better ability, Madoone the mole for smart bombs. 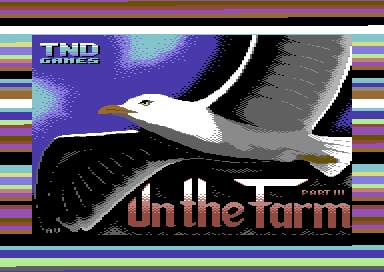 You must avoid contact with trigger happy Farmer Rich and the evil Edgar the Eagle. A pet eagle by Farmer Rich. Can your seagull poop on enough sheep to move on to the next level. On the Farm comes with a tape master and also a free Tape inlay.